Four of our premium vendors will offer up gear for the mother of all raffles. One entry is $20, or three tickets for $50. 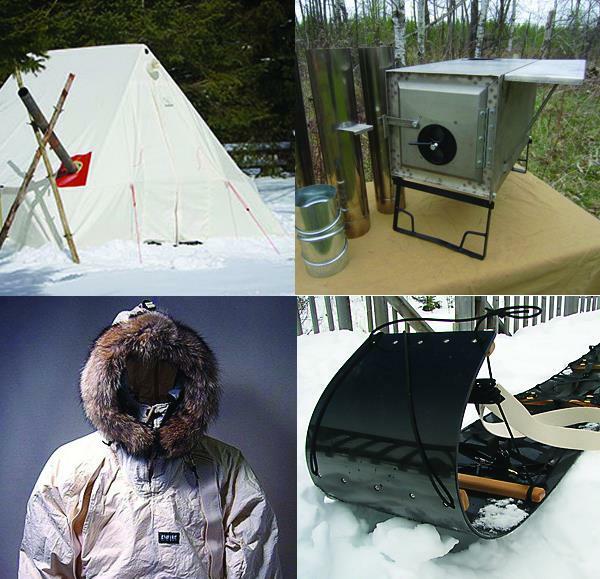 Payable to Winter Camping Symposium. The drawing is Saturday evening. You need not be there to win. 1. Snowtrekker Tents for donating a 9x11.5 Expedition Basecamp valued at $1360. 2. Four Dog Stove for their Ultra Light 2 Titanium Wood Stove worth $1025. 4.Black River Sleds for donating a 9' SnowWalker Toboggan with a Canvas Tank and a Conover Pack worth over $600. You may buy tickets the weekend of the event, or send your entry by mail, payable to the Winter Camping Symposium 4337 Tioga Street, Duluth, MN 55804. Please include your name, address, phone number and email so we may contact you if you win. All mailed entries must be received by October 24th, or you miss the boat.